The building of the original Jean Paulson Lodge started in 1988 and opened in 1990. Expansion started in June 2006 and this major upgrade was finished in 2014. Many thanks to all the volunteers and to the Nechako-Kitimaat Development Fund, Burns Lake Kinsmen and Lakes District Maintenance – it could not have been done without any of them. 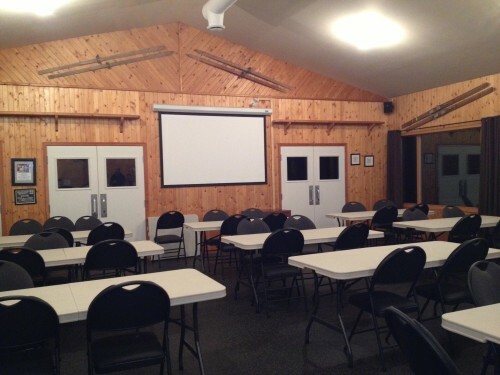 We now offer a full service building that is suitable for meetings, parties, family reunions, weddings or any type of get-together. There is a fully furnished kitchen, audio-visual equipment, tables with a capacity for 97 people in the main room plus a separate small meeting room (13 people) with projector and screen. And we have a great outdoor area for any type of activity. 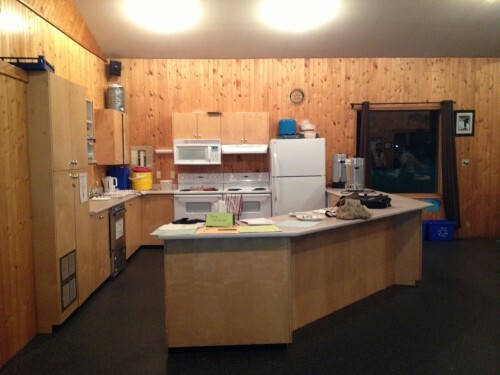 is $250 per day plus a $100 cleaning deposit that will be returned after the rental if the lodge is cleaned properly. 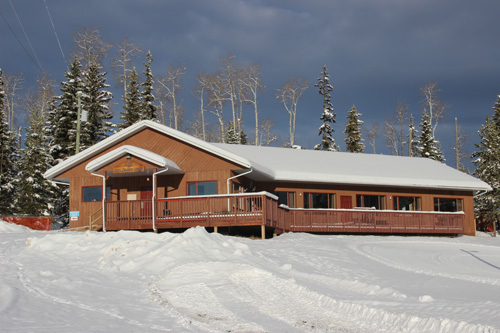 Rental of the lodge can be done by submitting the online rental form (preferred method) or printing out a copy and email or deliver to Gabriela. Please see below for further instructions. If you are booking more than 3 months in advance of your event we will ask for a $100 deposit. This deposit will be put towards the rental fee. If you cancel at least 30 days prior the event, your deposit will be returned to you. Otherwise it is non-refundable. Any inquiries can also be made by sending us an email. Just use the “Contact Us” link at the bottom of this page. 1. Download then fill out the a paper copy of the form (jean-paulson-lodge-rental-form-sept-2016) and deliver it to Gabriela with your deposit. You can also scan it and email to her. 2. Fill in this website form and submit it. 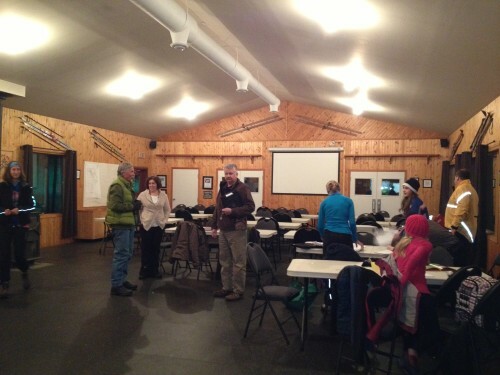 We will then send you an invoice and you can forward your payment to: Omineca Ski Club, Box 1008, Burns Lake, B.C. V0J 1E0 OR you may pay Gabriela when you pick up the keys.